Harley-Davidson'smotorcyclesales are struggling. Competing with Bird, Lime, Uber and Lyft might be an answer. The classic brand, which has been around for116 years, is looking to reinvent itself as more scooters, e-bikes and ride-sharing services hit urban communities and offer alternative ways to get around in congested cities. the bike in that picture couldn't really be much more uninspiring. How is this not The Onion? 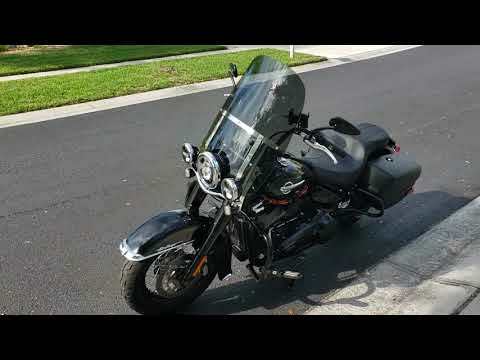 It aint a Harley unless it has the deafeningly loud muffler that just screams look at me, I'm a fat old white guy, hear me roar! There's definitely a lot of that. 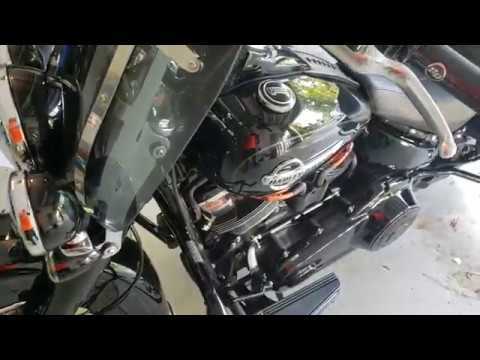 I run Vance & Hines Slip mufflers with the standard baffles. It's louder than stock, but not obnoxious. I am a believer that loud pipes save lives. Anything to get people to look up from their phones while driving. I purposefully accelerate through people's blind spots just to let them know I'm there. The funny thing is, my wife's little Honda Rebel CMX 500 with her 2 Brothers pipe is way louder than my Harley! Sorry about the messy garage, had to get rid of our backyard shed for a new one but that doesn't get delivered until next week.